There are few words that can be used to describe the visual splendor of Dragons Love. Written in a lyrical fashion, with all the mystique of the ancient world, this book is simply about all the things that dragons love. 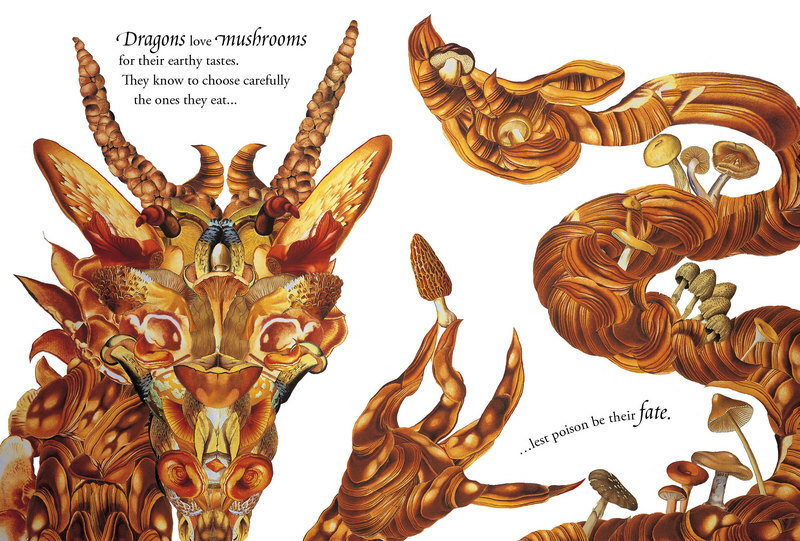 What makes Dragons Love far from simple however is the exquisite artwork that Parlato has employed. 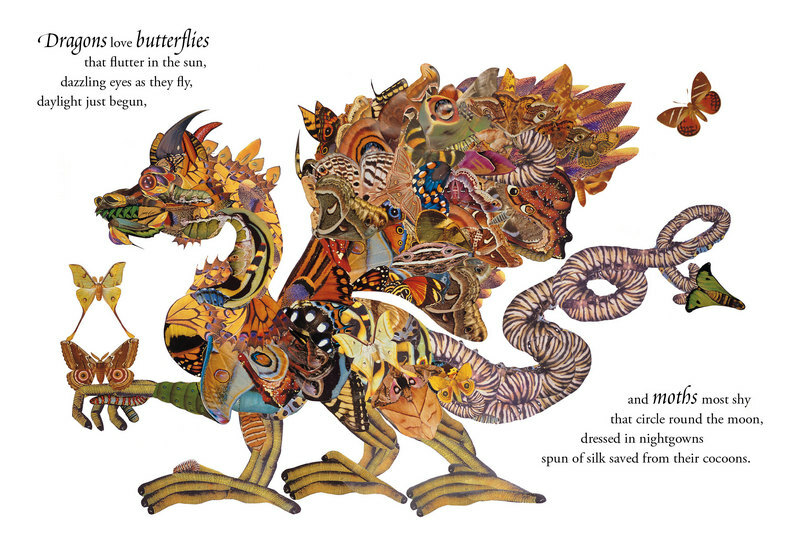 The artist has created unique illustrations of dragons by using a collage of objects such as lizards and snakes as well as more obscure things like scary stores. From beautiful seashells to hummingbirds to treasure, no page is ever dull. Each majestic dragon is aptly partnered with a short verse. Much more than a scavenger hunt, children can feast on this book as they try to figure out what item has been used to create each dragon. 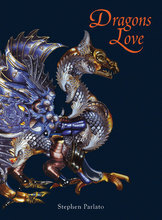 Dragons Love is a great book for children from grades 1 o 3. 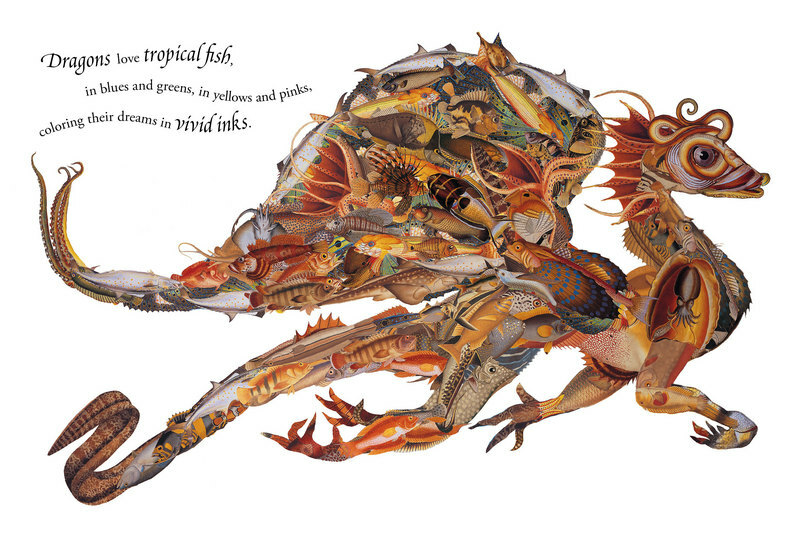 The artwork in the picture book, Dragons Love, can be summed up in one word -- amazing. Stephen Parlato's use of everyday objects to design the fantastic mythical beasts is incredible. From snake skins to mushrooms, flowers to birds, all types of themed dragons scrawl their way across the pages of this book. 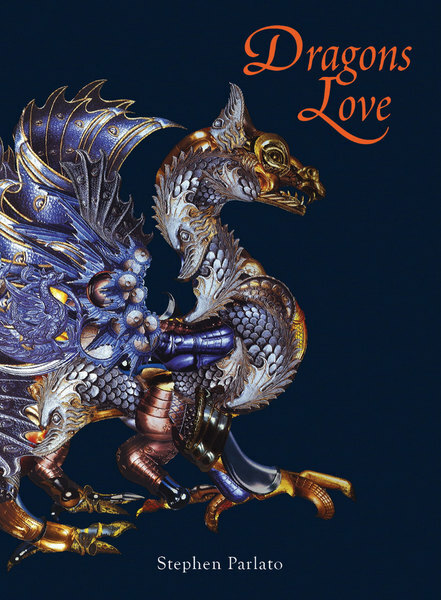 The rhyming text seems a bit forced at times and is more descriptive than story-line, but if you love dragons and unique artwork, Dragons Love is a winner. My favorite: the dragon made from the shining parts of suits of armor left behind, of course. 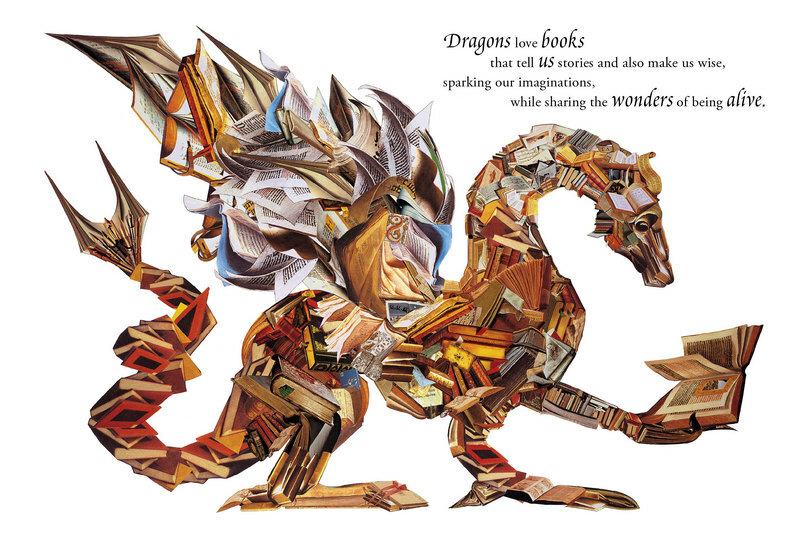 But the book dragon is a close second. Parlato has spent the last 16 years working as a local mental health counselor for young adults and also serves as an artist in residence at area schools. He leads entire student bodies through the process of creating large-scale collage series, which are both displayed and used for school fundraisers. 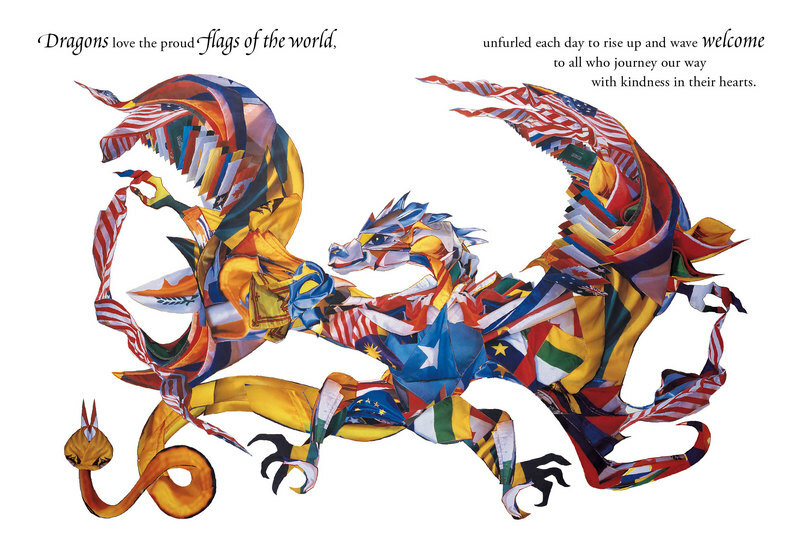 A longtime dragon fan, Parlato believes that despite often being cast as villains, dragons are “great ambassadors of the imagination.” His dragon theme for this book evolved from the response from readers and critics to a single dragon collage that appeared in his first children’s book, The World that Loved Books, also done in collage. A third book, Dragons Love Art, is in the works. To see more of Parlato’s artwork, visit stephenparlato. com.